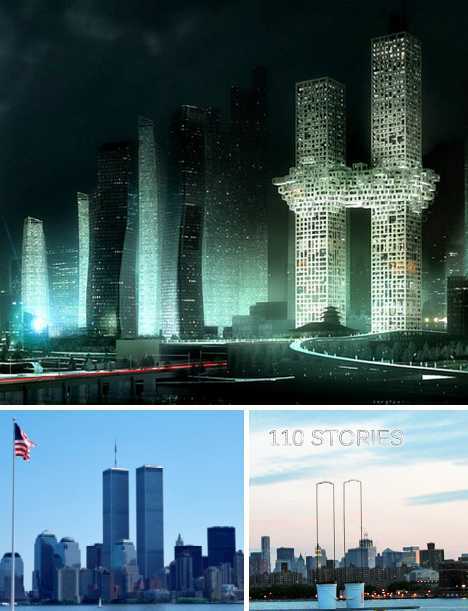 Korean Twin Towers FAIL? 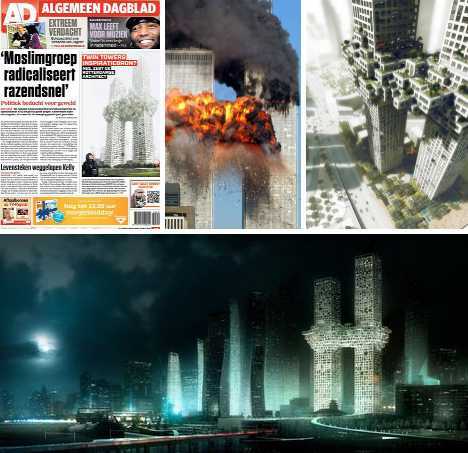 It would definitely appear so, though Dutch architects MVRDV strenuously deny any connection, inspirational or otherwise, with New York City’s lost World Trade Center towers. 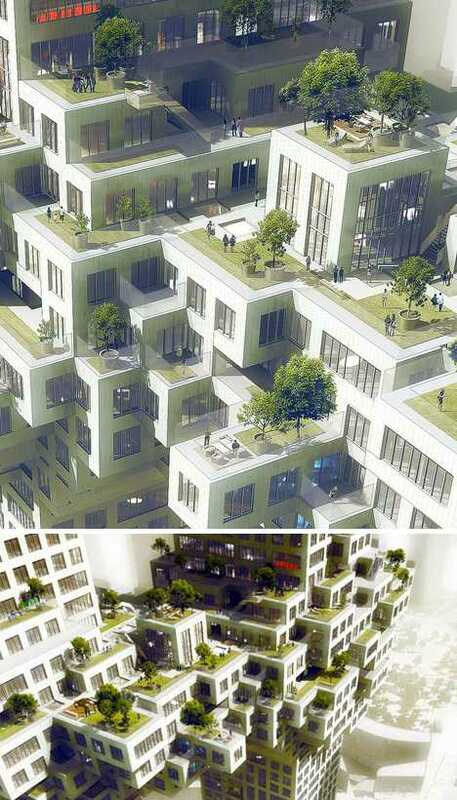 “The Cloud” is due to rise in Seoul by 2015 – that is, unless a storm of controversy blows the plan away. 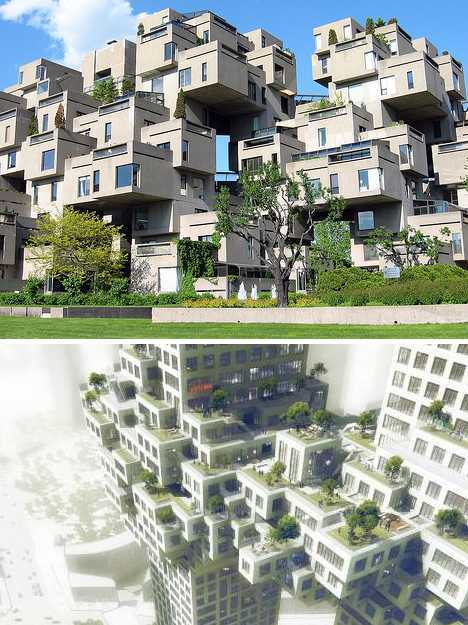 Imagine if you will, an architectural combination of Moshe Safdie’s Habitat 67 (below) and a pair of towering skyscrapers. 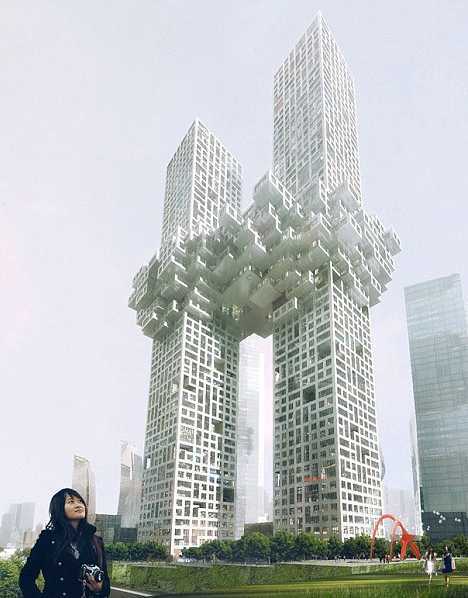 The result will likely resemble “The Cloud”, an ambitious high-rise apartment building designed by Dutch architects MVRDV. 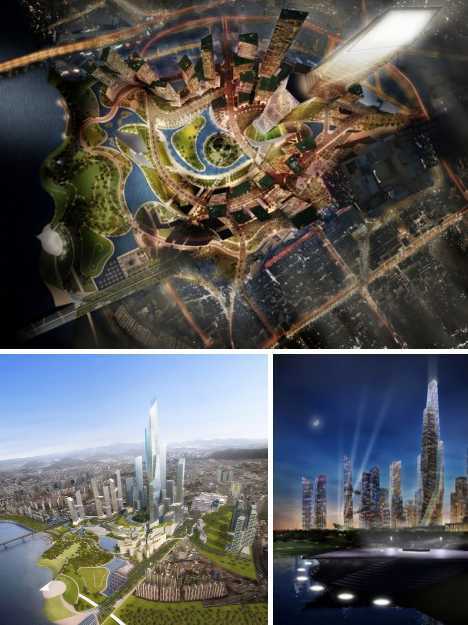 Current plans predict the post-modern structure will occupy a prime portion of the Yongsan Dreamhub project in Seoul, South Korea, by its 2015 completion date. The Yongsan Dreamhub project is an extension of Seoul’s business district; the master plan is one of 40 projects currently overseen by Studio Libeskind. 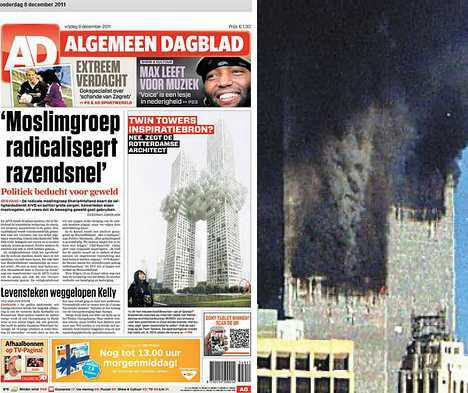 How incongruous is it that Daniel Libeskind, chosen to to oversee the rebuilding of the World Trade Center, is also associated with a building design that to many invokes the fiery destruction of the World Trade Center’s twin towers on September 11th, 2001. On the face of it, the H-shaped “The Cloud” displays both practical design considerations and a visible form that places it firmly in the so-called “deconstructionist” aesthetic common to many of Daniel Libeskind’s works. Libeskind, however, has no direct connection to this part of the project as it was subcontracted out to Dutch firm MVRDV. “The Cloud” is no small undertaking. The 54-floor and 60-floor towers rise to heights of 260 meters (853 ft) and 300 meters (984 ft) respectively, offering 128,000 square meters of living space. 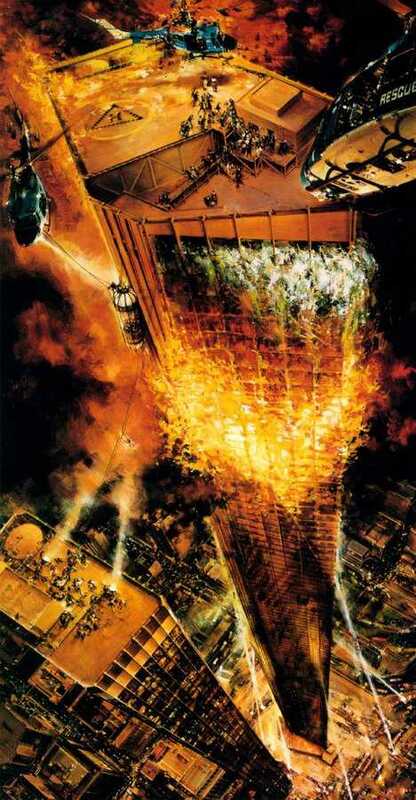 Roughly halfway up the towers centered around their 27th floors, a 10-story “cloud” connects the two towers in a similar fashion to the ground-level common plinths found in many multi-building developments. By raising the plinth skywards, the formerly occupied ground floor space is freed for other purposes, in this case a landscaped public garden designed by Martha Schwartz. 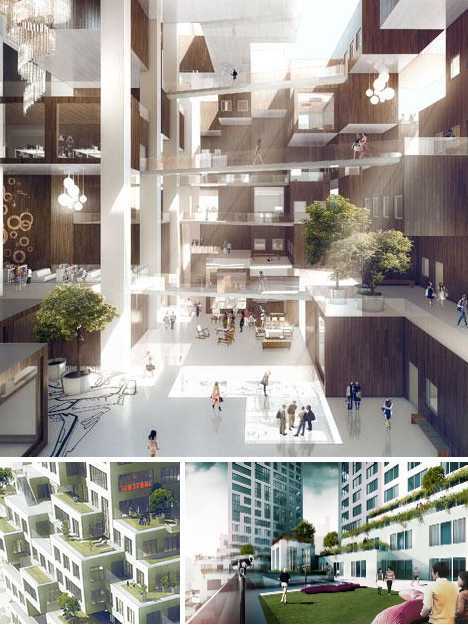 Over 14,357 square meters of amenities are located in the connecting cloud including a wellness center, conference center, fitness studio, pools, restaurants and cafes. 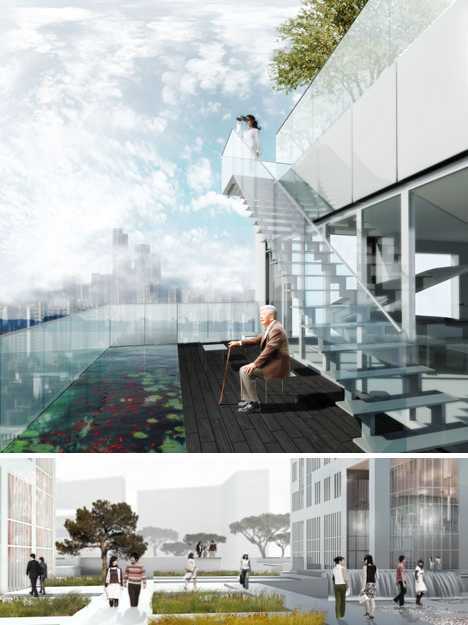 The top surface of the tower-connecting cloud is also utilized and features an extensive series of easily accessible public and private outdoor spaces, open-air patios, sun decks, gardens and swimming pools. What could possibly go wrong? Call it a mass case of pareidolia (seeing faces and images where none exist) or an unintentionally evocative design, but a furor quickly arose when images of “The Cloud” were first published. 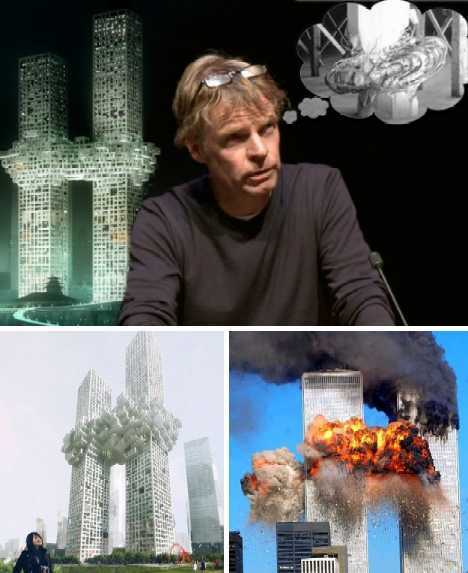 Regardless of intent, the resemblance of MVRDV’s design to New York’s twin WTC towers in flame is obvious – no matter that said resemblance appears even closer once one is made aware of it. 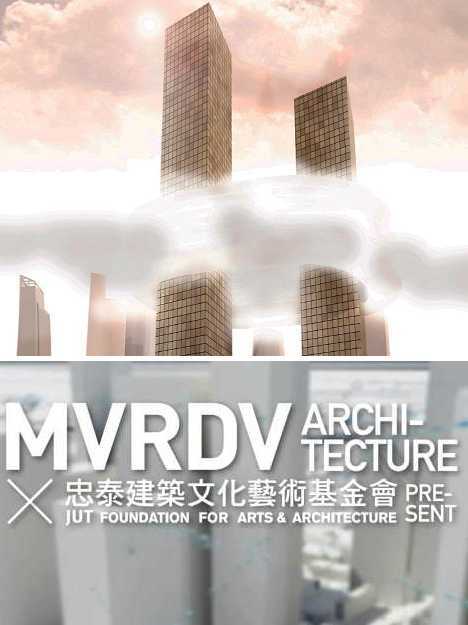 Beyond the above apology, MVRDV is distancing themselves from the ruckus by stating any decisions regarding the implementation of their design are strictly for the client to decide. That being said, Seoul is a long way from Manhattan and those who will live in and around “The Cloud” may not have negative feelings about the building’s appearance. Even so, would you want to live in a building that looks like the scene of a massive terrorist attack – or a 1974 Hollywood disaster movie?